You Can't Build A Reputation On What You Are Going To Do. Wise Words From Henry Ford. There was a time when January 1st used to mark the official end of a year and the beginning of a new one. I set the bars high and fell into the trap of "a new year, new me..." Prior to living in the digital age, I would boast to family and friends what my New Year's Resolutions included. Lose weight. Eat healthier. Get organized. Reach all of my goals. The list went on and on and on. I would spend a small fortune to ensure all of it would happen. You. Can. Do. Better. Than. That. I've sat here staring at the screen for at least 15 minutes. I wasn't sure how to begin this blog column. Should I start with, "One of the biggest lessons I've learned this year is..." Or, "I have learned quite a bit this week." Other starters came to mind as well. Finally, I thought, "Lisa, just start the damn blog column. Do it. You can always edit later." Okay. That's what I did. Here I am. It's Been A Tough And Challenging Week, But It's Friday. Exhale. It's been a very tough week for all of us. After having a 3 day Christmas holiday weekend, Lisa went back to work on Tuesday. Early in. That means she gets up at 3 a.m. and has to be to work for 5 a.m. When Lisa called me during her lunch break, she informed me that the numbers were huge. She'd more than likely be there until 6:30 p.m. In my world, that translates to her being there about a half hour beyond that time and not getting home until 7:30 - ish. Since her promotion in late May, this was the longest she's ever had to work. This photo speaks volumes about what my daily life is like as a Work at Home Dog Mom. For many months, I've been trying to get a decent photo of our kids together. That very seldom happens. On the rare occasion when it does happen, it's never at the right moment. A few times, I've gotten a photo of all 4 kids on our bed. However, our bed is never made. We used to make it, but within 15 minutes, all the blankets are at the end of the bed because Coco likes to create his blanket burrows. Although all 4 kids are on the bed, it's never picturesque. Towards the middle of November, I start thinking about the New Year. I get reflective. Quiet. Slightly introverted. I think about what has happened through the year we're upon. The goals I made the year prior. What happened. What didn't happen. The goals I reached. The goals I didn't reach. Why. What worked. What needs to change. You can read all about that here. Keep in mind, what I set forth in November doesn't usually change in the weeks to follow before the New Year is upon us. If anything, I shift it a bit and fine tune it. Our Indoor Christmas Decorations And Tree Are Put Away. That's How We Roll The Day After Christmas. Earlier today I did what most would consider the unthinkable. I took down all of the indoor Christmas decorations and tree. I untaped all of the Christmas cards from the doorframe. Aside from the organized pile of Christmas stuff on the kitchen table for Lisa to bring to the basement, there was no trace that yesterday was Christmas. Why? This is what I need to do in order to stay on track, focused, and sane. It's Christmas Day. I've done very little today. After spending most of this month exerting myself and pushing my body and mind beyond the limits, it has finally caught up with me. I could tell I was heading in that direction yesterday evening. Chronic. Lower. Back. Pain. Despite taking ibuprofen and sipping wine, by the end of the evening, I was limping and I saw stars when I had to stand up straight. I slept horribly last night. By 6 a.m. I knew I wasn't going to be able to go to our neighbor friend's house for Christmas waffles with Lisa, Kim, and Alex. The past 24 hours have been a complete whirlwind. Today we hosted our Christmas Eve Feast. Aside from Lisa and myself, we had 5 other dear friends join us. We spent most of yesterday prepping for today. Due to December being the busiest month out of the year, my chronic back pain is through the roof. However, between Lisa taking a week's vacation the week after my birthday, and her workload being lighter this past week, she's helped me out tremendously. It has made a world of difference. Today was the day. I spent about 8 hours baking Christmas cookies. Chocolate covered pretzel cookies. Chocolate peppermint cookies. Mounds cookies. Peanut butter kiss cookies. Vanilla oatmeal cup cookies with white chocolate and cranberry filling. Peanut butter cookie cups with chocolate filling. Oatmeal cookies. Caramel pretzel "turtle" mounds. Then, after spending an hour cleaning up, my favorite 18-year-old came downstairs so I could teach her how to make gourmet hand-dipped pretzels. Growing up, we'd spend Christmas Eve with my father's side of the family. His side of the family is big. It was a huge and much-anticipated event. Everyone went all out from the food and cocktails to the gifts and goodies. Nothing was spared. It was an evening of fun and food and spending time with my cousins. All of the adults were in good spirits and overall, it was a time to relax, celebrate, and put "life" on hold for a day. It's the start of my favorite week out of the year. The week before Christmas. This year, for the first time in a few years, I'm actually looking forward to it. Our Bodacious Holiday Biscuits have been picked up, shipped, and delivered. I'm almost done painting and putting the final touches on the DIY Doggy Gates. I've dedicated Thursday to baking Christmas Cookies and teaching a special young lady how to make gourmet hand-dipped pretzels. Friday will be spent wrapping and bagging Christmas presents and putting together our Christmas baskets. Saturday I'll spend most of the day prepping for our Christmas Eve feast. This year, I'm looking forward to all of this. We groom and bathe all of our kids. Yes, they get spa days here at home. The only thing we don't do at home for the pup kids is trim their nails. I used to trim them, but after snipping Coco's quick, that traumatized me for life. Even though we had Kwik Stop Styptic Powder on hand, I became a nervous wreck during the nail trim portion of their spa day. Now, we take them to the veterinary hospital for nail trims. It's official. All of our Bodacious Holiday Biscuits have been picked up and shipped. The bags that still remain on our biscuit table are ones that our neighbor friends and Lisa's coworkers have requested, for Bodacious Care Packages and gifts. I have spent most of today working on the DIY Doggy Gates. I have put aside all of tomorrow to do the same thing. My goal is to have them finished by no later than Tuesday. It's towards the tail end of our busiest week out of the year. We hosted our Spreading Love and Holiday Cheer Party on Saturday. Due to the amount of Bodacious Holiday Biscuits we had to bake, we started that process Sunday morning and continued through Tuesday. Between those 3 days, we baked for over 20 hours. On Wednesday, I spent the day meeting a deadline and wrapping up a 6-week project for a client. Lisa spent the day in her woodshop putting together 2 DIY Doggy Gates and cutting out 2 large wooden dog bones for the front of the gates. Today, I bagged up all the Bodacious Holiday Biscuits and started painting the DIY Doggy Gates. I'm exhausted. Our holiday party took place earlier today. As predicted, Winter Storm Ali pounded us. As of now, we have about 6 inches of snow. It's still snowing. Everyone who had to travel canceled. One person pulled a no call no show. The only people who showed up was our neighborhood tribe. There were 10 of us total. Lisa had to work today. On my birthday. It was just the kids and myself until about 5 p.m. when Lisa arrived home from work. I kept busy. Cooking. Baking. Housework. Putting together gifts for our Spreading Holiday Love And Cheer Party tomorrow. I put a strand of lights on the 3 foot Christmas tree in the kitchen to hand the 'Love' ornaments I made a couple of weeks ago. Seriously, Mother Nature? Of All Days To Blast Us With A Snowstorm, You Had To Pick Saturday? So, it's inevitable. 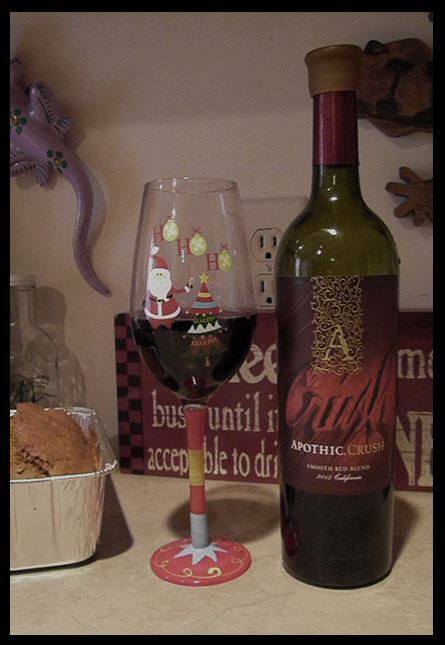 A winter storm is moving in the day of our Spreading Holiday Love and Cheer Party. We've already had a few people cancel their attendance. I should be stressed, but I'm not. I've learned there is no sense in getting irritated with Mother Nature's curveballs. It is what it is. We haven't had snow on the ground during the month of December for as long as we've lived here. Of course, this has to be the year and it's going to happen on the day of our party. This week, Lisa surprised me with a couple bottles of my favorite Tayler Brook Wine. It's my birthday week. This year, I'm dedicating my birthday to spreading holiday love and cheer to our friends who need it. On December 8th, my actual birthday, I'll be prepping for the party on December 9th. I'm happy to do that. 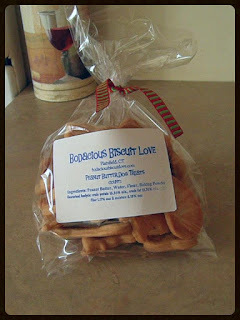 Yesterday, I put the announcement up for our Bodacious Holiday Biscuits. We'll be taking orders through December 8th. Each bag of biscuits is $5 and includes a mix of holiday and bone shapes. We finish the bag off with a holiday ribbon. Pick up and shipping is available. The biscuits will be baked on December 11th and shipped/ready for pick up on December 16th. Shortly after posting, the orders rolled in. One of my favorite authors is Robert Fulghum. If you're not familiar with him, this might jostle an "ah huh" moment. He wrote the book, 'All I Really Needed to Know I Learned in Kindergarten.' In a nutshell, Robert Fulghum simplifies everyday life. Eventually, I'd love to have his entire collection of books. So far, I have one. It's the 'From Beginning to End: The Rituals of Our Lives' book. I purchased it prior to our wedding in 2012 because I wanted to read a chapter to Lisa about weddings. There was a reason for that. The holiday season is expensive. Most people are forking out money and swiping their store and credit cards left and right. There are gifts to buy for the human kids, our spouses, girlfriends, boyfriends, friends, family members, teachers, daycare providers, neighbors, etc. It's overwhelming. Often times, people blow through their budgets. They overspend. The Achilles' heel of holiday shopping is swiping the plastic. Spend now. Pay later. Then, we start off the New Year having to pay off the credit cards and scrimping to pay our monthly bills. I Notice More Than You Realize. I Think More Than I Speak. Today was the day we were supposed to participate in the Whiskers in Wonderland Event. It would have been our 4th year. However, on Monday, I sent a message to the host letting them know we would not be able to attend. The reason was work, unforeseen circumstances, and company. Normally, this event is on a Sunday, but this year, it landed on a Saturday. Between work schedules and such, we had to cancel. Our Bodacious Holiday Bundles officially made a debut. I absolutely love offering these bundles. 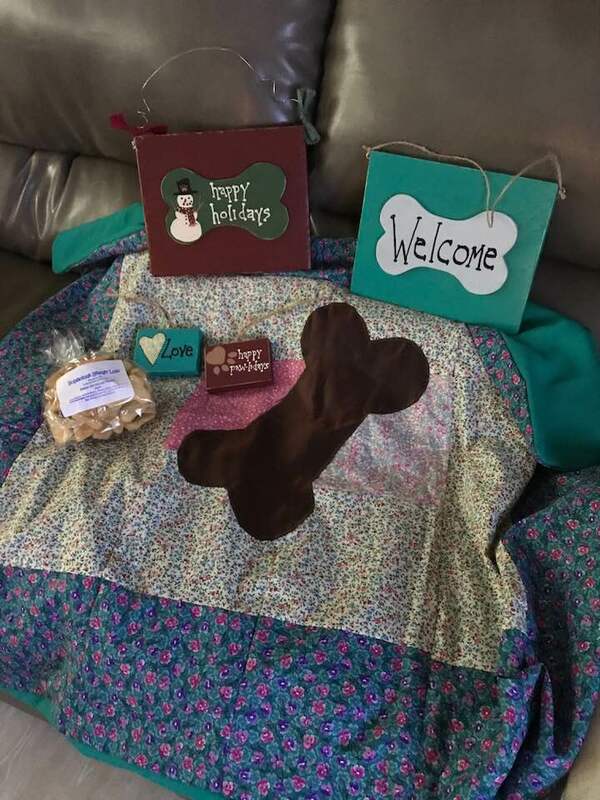 It's a mix of handcrafted-by-us items and our homemade biscuits. I create bundles. A mix of cool DIY Dog Mom Projects. And, I offer them at a special price. In other words, it's cheaper to purchase the bundles than it would be to buy the items separately. My reason behind this is simple.